InstaOffice Business Centre in Koramangala, Bangalore is located in the centre of India’s startup neighbourhood. This startup, retail, and education hub of the city when combined with the residential hustle bustle of the area, personifies vibrancy. If you are a business that is on the lookout for fresh, ambitious, and an inspired pool of talent to work around, with a dynamic community experience, this is your stop! 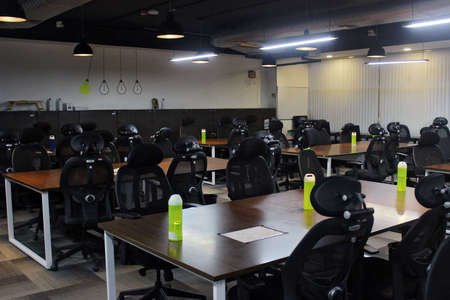 Connected to the top IT localities of the city like HSR Layout, Sarjapur Road, Hosur Road, and CBD, and being located right opposite Jyoti Nivas College, accessibility to our coworking space in Koramangala is extremely convenient. 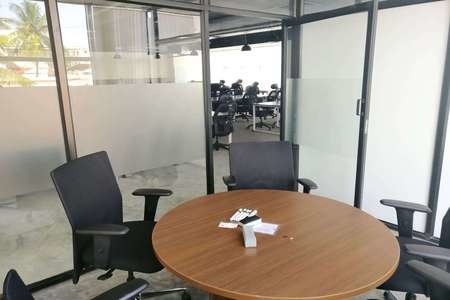 The elegant interiors, ergonomic furnishing, ample parking space, and hi-speed internet connectivity add to the ability of the work space to meet your end-to-end business needs with absolute perfection and ease. Our spaces can also host events and our Operations team can handle the arrangements for that. At our office space in Koramangala, Bangalore, our offerings are always a step ahead of your needs. Various configurations include private cabins of different sizes and fully-equipped meeting rooms. Private workspace options from 2 people to 11 people, with hi-speed internet, storage space, and unlimited tea and coffee. Fully-equipped meeting rooms with audio conferencing, hi-speed internet, and unlimited tea and coffee! 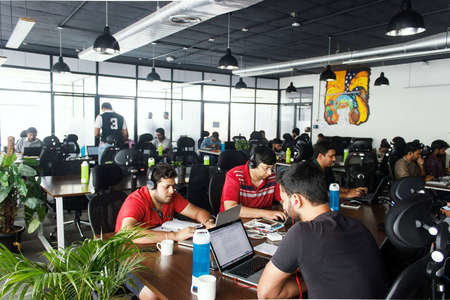 InstaOffice coworking space in Koramangala is located in the centre of the startup neighbourhood of the country. Being a retail, startup, and educational hub of the city, Koramangala is considered to be one of the most premium locations in Bengaluru, working out of which will serve as nothing less than an opportunity to harness for professionals and enterprises alike. The neighboring IT localities of Bangalore like HSR Layout, Sarjapur Road, Hosur Road, and CBD, make this area highly accessible. 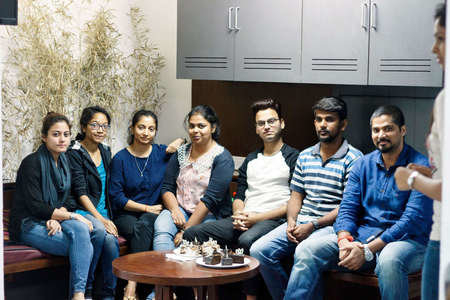 Koramangala personifies vibrancy, which is what the InstaOffice community is all about, making this the perfect place for an exceptional community experience while coworking. 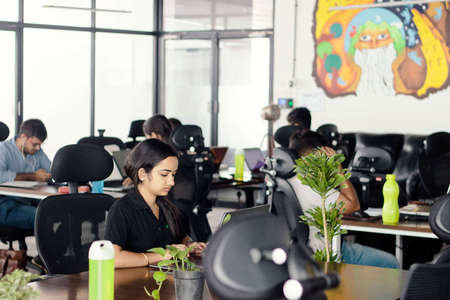 InstaOffice coworking space in Koramangala is a mere 200 metres away from the BMTC bus stop and Hosur Road. Also, the neighbouring locations like HSR Layout, Sarjapur Road, Hosur Road, and CBD make this place easily accessible by road. 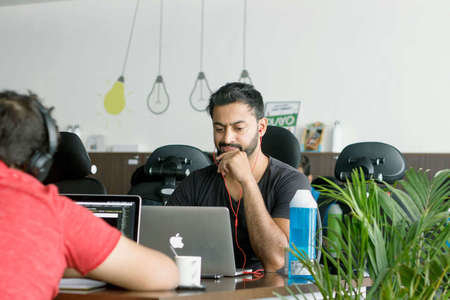 The closest metro station to the InstaOffice coworking space, Koramangala is the Langford and Richmond road metro station. InstaOffice Business Centre in Koramangala is in close proximity to St Johns Medical College & Hospital, and is located right opposite Jyoti Nivas College in Koramangala. There are a number of great restaurants and malls nearby if you want to eat out with your team or take a shopping break. The InstaOffice building in Koramangala is spread over a total area of 35,000 sq ft, with tons of natural light, a luxurious ceiling height, and rich interiors. The huge elevators and ample parking space, including basement parking, render convenience along with style to the infrastructure of the building. 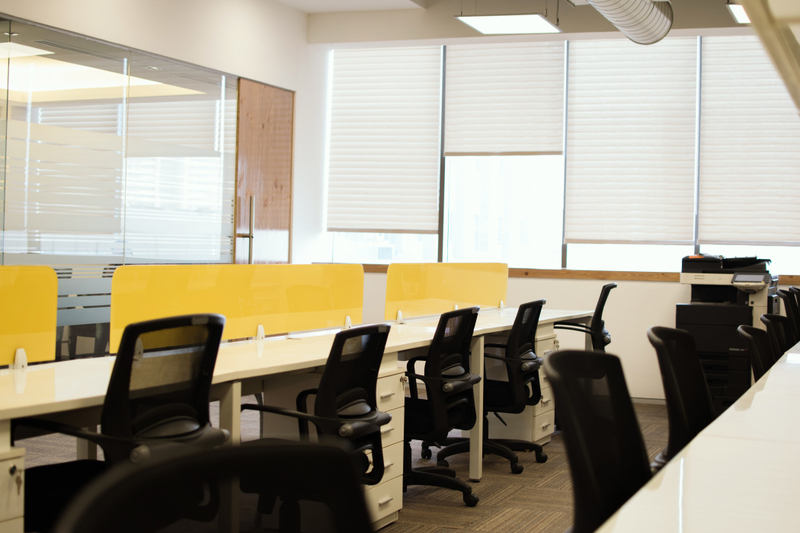 With an open cafeteria, a 24x7 power supply, and all basic infrastructural facilities, the InstaOffice coworking space in Koramangala is the perfect place to deliver productivity at work. The nearest hospital from the InstaOffice coworking space in Koramangala, St Johns Medical College & Hospital, is less than a kilometer away. Yes. Grand Mercure and Devanam Sarovar Portico Suites are located within a distance of 2-3 kms from the InstaOffice coworking space in Koramangala. Also, ibis Hotel is located approximately 4 kms away from the place. Are there good malls in the vicinity? Yes. Forum Mall and Total Mall are popular options for shopping in Koramangala, and are closely located to the InstaOffice coworking space. Yes. There are a number of places where you can take your team out for a meal or to have a good time. Boho, Social, The Black Pearl, Punjab Grill, Om Made Cafe, Buff Buffet Buff, Stoked!, Gilly’s Restobar, A Hole Lotta Love, Hungry Hippie, and Empire are some of the great options from a long list of restaurants in the area.